Natural medicines to help for rosacea, spider veins and broken capillaries. Akso about turmenic and the therapeutic substance curcumin. Welcome to this online presentation of oral and topical products to treat rosacea, spider veins, excessively red skin, and with dilated blood vessels. Further down there is some information about the medical herb and spice turmeric and the substance curcumin contained in this herb. Rosacea treatment pills - Rubactum - By rosacea blood vesssls, both capillaries and greater vessels, in the skin are dilated. The dilation is in the first stages caused by a lack of muscular activity in the vessels, later the vessel tissues get mechanically dilated too. The engrossed vessels cause red areas and distinct greater vessels. Most often the face is affected. The disease can begin early in life, and it developes gradually until it is very pronounced in the middle period of life or later. Later on the disease vill be complicated by inflammation, alllergic reactions and infection. This is an oral treatment that stimulate the vesels to contract better and stimulate the tissues in the vessels to heal. Among the ingredients are vitamin-B-complex ital for skin helth, the anti-inflammatory substance curcumin from turmeric and horse chestnut extract. By clicking at the link, you can read about all the ingredients and their effects. Skinseption osacea relief serum - This is a clinically tested serum that has proven to give these treatment effects against rosacea: It soothes and makes the skin less irritated and thus reduce pricling, tingling and burning feelings. It makes the skin softer and moisturizes dry skin. It takes away a thickening due to the disease process. 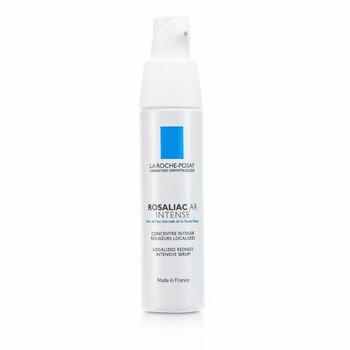 It tones the skin making it firmer and more elastic. It makes the skin less red and makes spider veins less visible. 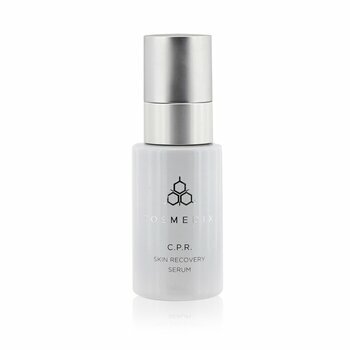 A key working mechanism of the serum is by improving the blood circulation in the veins. Spider veins the tiny spidery red threads seen on the faces of many individuals are often called broken capillaries. Actually they are capillaries that are dilated stretched out of shape; not broken. Capillaries that have lost elasticity and become inflamed. Various bioflavanoids primarily rutin and citrus bioflavanoids known as vitamin P have been proven to help strengthen capillary walls (both internally and externally) and reduce the appearance of spider veins or rednes. Various bioflavanoids primarily rutin and citrus bioflavanoids known as vitamin P have been proven to help strengthen capillary walls. Argan Oil - An natural botanic oil to help for eczema, psoriasis and acne - This product is a pure cold-pressed argan oil of the highest quality. It counteracts inflammatory processes and stimulates healing of injuries in the whole skin structure, and it helps the skin to get rid of aging signs. It is a very good skin moisturizer. It may further give a good help to alleviate chronic skin conditions like eczema and psoriasis. PLEASE CLICK HERE FOR PRODUCTS TO FIGHT OTHER SPECIFIC DISEASES - Remedies containing vitamins, herbal ingredients, minerals and anti-oxydative substances. You can find natural drugs to help for problems with the nouse, throut and windpipe. Drugs for treatment of problems in the mouth, digestive system and rectal opening. Products to relieve rheumatic trouble. Products to treat emotional , memoryand cognitive problems. Drugs to help you get better heart functions and blood circulation. Products to reduce problems in the urogenital system of women and men. Turmeric (Curcuma longa L.) is a perennial plant belonging to the ginger family Zingiberaceae in the order Zingiberales. It can be over two meters high. It has lily-like leaves and pale yellow to pink flowers in the shape of an ear of corn. Underground is a Tuberous root with several cylindrical side roots. Turmeric comes from Southeast Asia. The largest producer is India, but it is also cultivated in China, Taiwan, Indonesia, Sri Lanka, Australia, Africa, Peru and the Caribbean. Spices plant was probably brought to Europe by Marco Polo (1254-1324). In his book A description of the world, he discusses the plant as "a fruit resembling saffron. Spice turmeric, sometimes called Indian saffron, is the dried and ground Tuberous. The aroma is reminiscent of ginger, the taste is slightly bitter and sharp. It is rarely used alone but is an important part of curry, of which it gets its color. Also mustard and worchestershiresaus often contain turmeric. Turmeric is light sensitive and must be stored dark. The spice contains the substance curkummin, a drug that has long been considered to have healing effects against a variety of diseases. This is the substance giving the yellow flower. It also contains etherical oils. Curcumine molecules have two phenolic units connected by an unsaturated carbon atom chain. Each phenolic unit has an -OCH3 group and the chain has two ketonic oxygen molecules attached. The plant is used medicallly in the form of spice pouder or as a tea or as extracts. Turmeric helps to reduce heart and circulatory problems through several mechanisms. It lowers the cholesterole level. It loweres the level of homocystein in the blood. It prevents cholesterole from being oxidized, a process promoting deposition of cholesterole in the walls of blood vessels. It helps to improve the ratio between HDL and LDL lipoproteins in the blood. Also anti-inflammatory properties may help against heart problems. Turmeric hinders overgrowth of yeast and can therefore be used as a menas to treat yeast infection or candidiatis. Turmeric is used as a general remedy against digestive trouble. especially irritable bowel syndrome. It is used to treat inflammmations. It is also used to topically to prevent and treat infection in sores and to enhance the rate of sore healing. One uses turmeric in many products to heal problems in the skin. It is being ivestigated as effector against Atzheimer's disease, arthritis and cancer. Turmeric enhances nerve growth by increasing the level of neurotropic factor DNDF produced in the brain. Tis effect may be useful for treatment of nerve damage and degeneration and Altzheimer's dosease.